Andy Warhol predicted that everybody in the future could enjoy at least 15 minutes of fame. Since he said that in 1968, few people foresaw how prescient he would appear to have been after the dawn of the internet. Do you want to know how to build an audience on social media? If so, you don’t just want your 15 minutes of popularity. Instead, you can build a high-quality, engaged audience that helps support your business in the future. 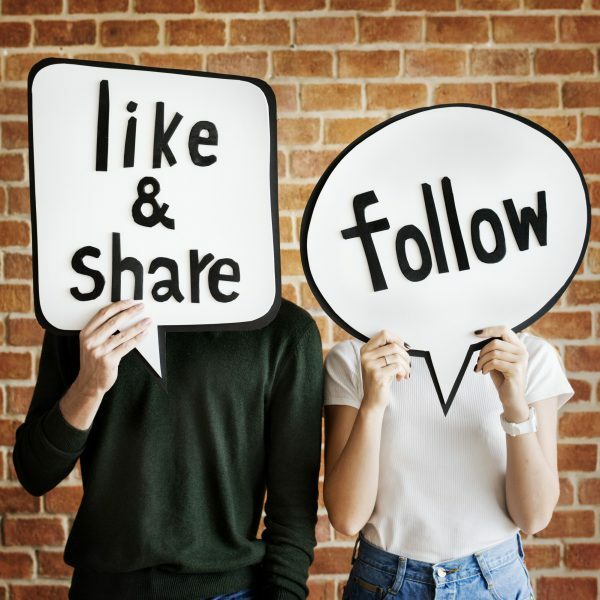 Here’s how to grow your social media audience in a way that will help you develop a lucrative asset you can rely upon to build your brand and your business. Before you can market to your audience, you need to figure out who they are and where they socialize online when they’re looking for a product like yours. Ideally, you’ll have already gathered information from prior sales or surveys, so you’d have some idea about the kinds of people you want to attract. Gather marketing data: If you don’t have any marketing data yet, you can still target your market in some simple ways. For instance, Marketing Land suggests considering the price of your product and the age, gender, or location of your potential buyers. Our previous article on creating customer personas may help you visualize your target market. Competitive research: You might gather the most useful information by doing a little competitive research on the audience of brands with products that are the same or similar to yours. Simply scout social networks to find out more about people who interact with your competitors. Okay, you won’t really plan to herd cats. The phrase comes from one of my all-time favorite infographics on the differences between social networks and the joke that social networks are all about cat pictures. Seriously, all social networks tend to appeal to members in different ways. If you’re just getting started, you should focus on one or a very few social sites, so it’s important to select the platform(s) you’ll find the most productive. By now, you should have some idea about the type of audience you hope to attract. You can use this demographic information to choose your social sites. Marketing Charts has some excellent, new information about the kinds of people who tend to gravitate toward the largest social networks. Everybody thinks Facebook is the largest social network, but it’s actually YouTube. About three-quarters of American adults check in with this combination of a social and video-sharing site. While lots of young people enjoy the videos, so do a majority of middle-aged people and a fairly large percentage of elderly people who get online. About two-thirds of U.S. adults use Facebook. You can find younger people, but older adults also tend to use it. Overall, Facebook is still quite active and users appear engaged, but use is declining somewhat, especially with younger people. LinkedIn has a reputation as a B2B social site, and the majority of users have college degrees and live in cities. While you might mostly regard it as a place to connect with businesses, you may have success marketing to members as consumers too. Twitter tends to attract a somewhat younger, more educated, and affluent audience. Users tend to regard it as a quick source of news and updates. Other large social sites to explore include Pinterest, Instagram, Snapchat, and WhatsApp. Depending upon your niche, you may get good results from less popular but more focused social sites or forums as well. The first two steps just helped you figure out where to start building your audience. This section covers how to build an audience on social media sites that you have selected. Of course, you should begin by taking the time to create a strong page and profile. You can promote your social page by including links on your website and email signature, but you still need to dig in and get your hands dirty if you want to enjoy faster, better results. Forbes suggests prioritizing a tactic called “social listening” to figure out types of content that are likely to get attention. A tool called BuzzSumo will actually list the most popular content under various topics. Get attention from influencers and their followers: Go ahead and interact with this popular content in a helpful way. Be sure to leave a link to your own social sites in your signature or link to your profile name. Generate content ideas: Use popular topics to generate your own content ideas. Look at my previous article about Turning Boring into Bloggable for some ideas. When you were a child, your mom probably suggested being a friend if you want to make friends. Socializing online isn’t so different. You’re there to socialize and not simply to make posts in a vacuum. Share and comment on others’ relevant posts on any social site. Certainly, reply to comments on your own posts. When it’s appropriate, invite people in. Present yourself as a helpful, valuable, and friendly resource to become regarded as somebody with whom other people want to socialize and do business. Developing an audience on social sites can take a lot of work, and that’s why I initially suggested finding only one or a very few platforms to develop first. You can streamline your work with a variety of automation tools that can help you schedule posts, track results, automatically get alerts for mentions of your brand or relevant topics, and much more. Here’s a list of 12 social media automation tools to get you started. Why Develop Your Audience on Social Media? In the end, success with social media isn’t all about content or attracting likes. It’s about connecting with other people. Simply posting content without an engaged audience will waste your time and money. That’s why it’s so important to learn about your audience and where they tend to connect online before you order any content or even build your first social site profile. Once you’ve decided which social sites to target, you can research posts, interact with others, and develop an efficient process for staying on top of all of your new friends. Marilyn K writes about technology, insurance, finance, business, and marketing a lot more often than she writes about hairspray. Still, she’s ready to uncover the right angle for all kinds of industries.